In its commitment to provide subscribers with the best viewing experience, Cignal TV recently launched Disney XD in high definition. As another first in the Philippines, this historic partnership between Cignal TV and Disney XD, offers an array of exciting rewards and activities for loyal Cignal subscribers. 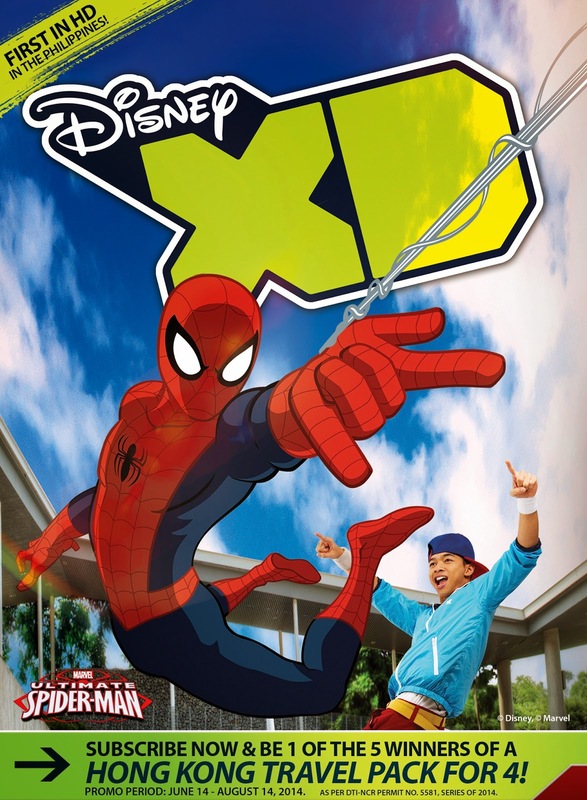 Disney XD is home to famous Marvel superheroes such as Spider-Man, Iron Man, Hulk, Captain America, Thor, and many more. It also features some of today's favorite cartoon series like the comedy animated series Kick Buttowski - Suburban Daredevil, action-packed series Crash and Bernstein, and the very famous Star Wars animation series, Star Wars Rebels. Original Disney XD series, action and adventure movies, animation and comedy programs can be enjoyed only on Cignal TV. Disney XD is the third Disney 24-hour channel on Cignal TV to join in Disney Channel (Channel 32) on Plan 430, and Disney Junior (Channel 31) on Plan 590. Not only will the Disney XD fans get the best viewing experience, Filipino families can also look forward to a host of on-air and off-air promotions which include a series of meet and greet events starring their favorite Disney XD characters just like the recent Guardians of the Galaxy meet and greet wherein Cignal TV flew in the Cruz family to Singapore for free to meet Gamora (Zoe Saldana), Drax (Dave Bautista), and James Gunn, the director of Marvel’s Guardians of the Galaxy! And again, Cignal TV is sending five (5) lucky families to Hong Kong. Those who will subscribe to a Cignal Post-Paid Plan 430 - 490 up until August 14, 2014 will get to vie for a trip for four (4) inclusive of airfare and hotel accommodations. There will be 1 winner of four tickets per area - NCR, Luzon, South Luzon, Visayas and Mindanao. Log on to www.cignal.tv to learn more on how you can be one step closer to enjoying the sites and culture that HongKong has to offer. With this, how much more rewarding can watching TV be? Go on and subscribe to Cignal TV now to enjoy Disney XD on channel 107, the first in HD in the Philippines! You might be one of the five winners to snag a trip to HongKong for the family!